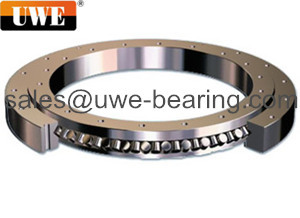 1797/2460G2K1 slewing bearing is mainly made up of in-up ring, in-down ring and outside ring. 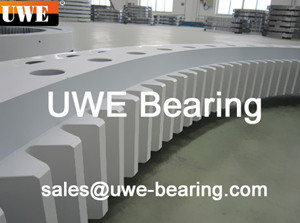 Three rings are separated so each row roller loads can be confirmed exactly and they can bear axial force, resultant torque and considerable radial force at the same time. This series has the maximum load capacity of these four series. It features compact in design. 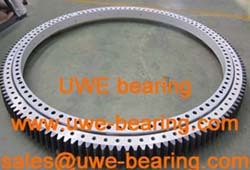 How can you buy 1797/2460G2K1 Crossed Roller Bearing Ring on the Internet? 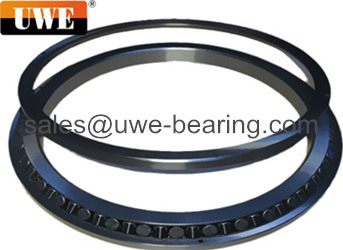 High quality 1797/2460G2K1 Crossed Roller Bearing Ring, Just click the button " Contact Now " to mention your purchase Requirement , Quantity and Contact Method of your requested Bearing Item No. 1797/2460G2K1. then click the button " Send " The web site will make your purchasing information sent to the supplier's mailbox, who will come to contact you upon they get your information at the first time.